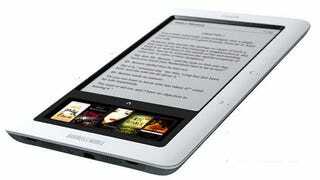 LCDs or eReaders, Which Are Worse for Your Eyes? The NYT published an interesting piece on display technologies, allowing doctors and professors to attack the age old question, are LCDs worse for your eyes than eReaders. The answer? It depends. "It depends on the viewing circumstances, including the software and typography on the screen...Right now E Ink is great in sunlight, but in certain situations, a piece of paper can be a better display than E Ink, and in dim light, an LCD display can be better than all of these technologies." Apparently, the high refresh rates of modern LCDs make it as easy on the eyes as any e-paper/e-ink technology, when ignoring environmental factors like light and ergonomics. Problems seem to arise from eye fatigue, which is more a product of the lighting situation and the user's practice of taking proper breaks (let your eyes rest every 20 minutes).